Add a beautiful country look to your dining room with this dining table. 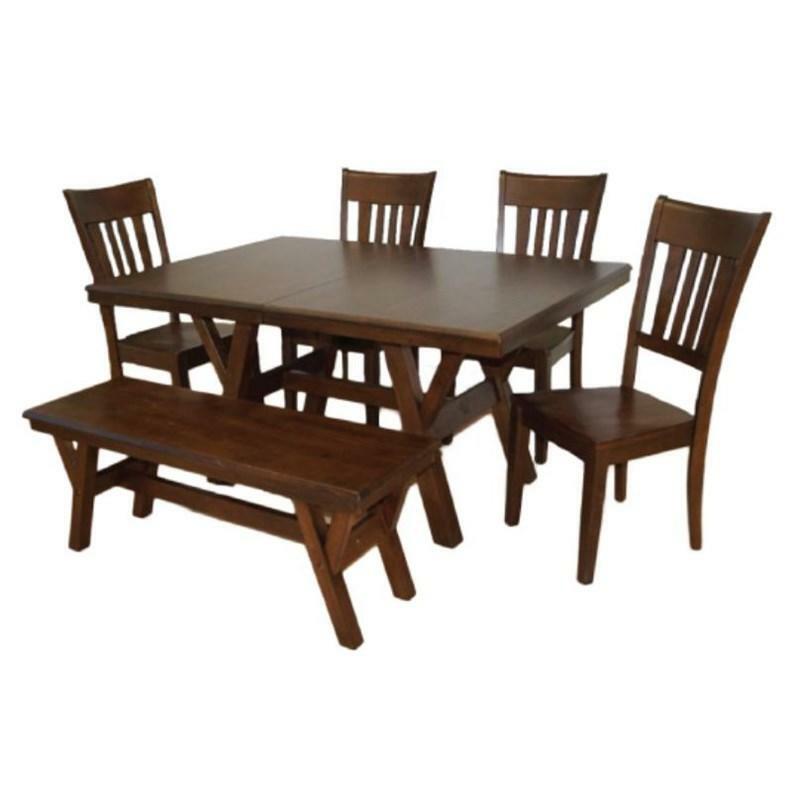 It is constructed from Asian solid hardwood and comes in dark oak finish. It features a rectangular table top, trestle base and an 18" butterfly leaf motioned by cable slides. It can be paired with the matching dining chairs and bench.